Toyama Prefecture　is a prefecture of Japan located in the Hokuriku region on Honshū island.The capital is the city of Toyama. 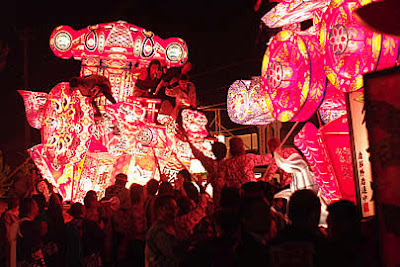 Toyama is the leading industrial prefecture on the Japan Sea coast, and has the industrial advantage of cheap electricity due to abundant water resources.
. Toyama - Entries of this BLOG .
. Festivals of Nanto Town 富山 南砺市 .
. Festivals of Takaoka Town 高岡 . 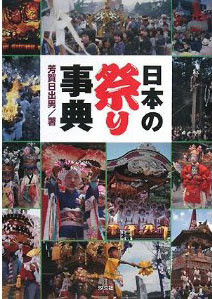 "festival of hitting the bottom"
Main festival at the shrine Usaka jinja 鵜坂神社. On the 16th of the fifth lunar month. Other sources say the 16th day of the sixth lunar month or even the 23th day of the seventh lunar month. Women were brought to the shrine and had to confess the number of their extra-marital friends. For each one they got a hit on the bottom. If they did not talk or said a lie, the deity would punish them terribly ... so they all confessed their sins. The stick for hitting was made of the sacred sakaki tree (Cleyera ochnacea). Some say the stick was made of a sakaki branch cut during the new year to cook the special rice porridge with seven herbs (nanakusagayu), so the women would give safe birth. Even Matsuo Basho has written about this festival. 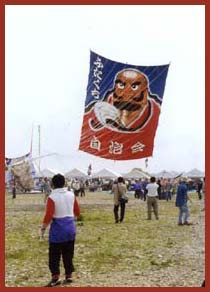 This festival was abolished during the Meiji period. 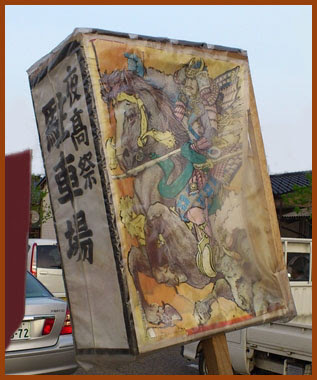 Later, during the Taisho period, a horse appeared and ran around the shrine three times. This was used to be hit with the sacred stick. Nowadays, this custom has been completely abolished. Here is my information about the "rice gruel stick"
The sixth of the first seven generations of kami, produced immediately prior to Izanagi and Izanami. It is generally believed that the two kami actually represent a single being, Omodaru being the male half and Kashikone the female, but no other specific attributes are known. 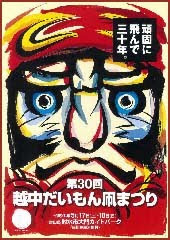 According to Motoori Norinaga, the characters used to write Omodaru's name mean "face and leg, indicating a being without imperfection; whether in face or in the limbs, every part is furnished complete" (Kojikiden). Other theories suggest that the names mean the face of the earth or the land was perfect and complete, or that the names were mutually complementary epitaphs used by the pair of kami. In Memory of Obiko no mikoto 大彦命, a general of the Hokuriku Army, visited the area during the reign of Emperor Sujin Tenno 崇神天皇 (148 BC), the shrine was build in 652 and venerated with envoys from Kyoto. 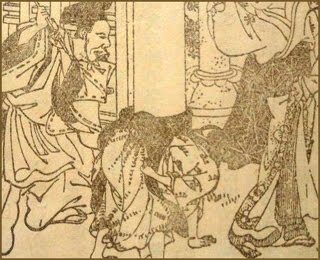 Soon there was also a temple of the same name 鵜坂寺. The present building of the shrine is new, from 1873.
the Yoshikawa edition, p. 411. Yoshida-Toogo, 'Dainihon-Chimeijisho', Vol. II, p.1964). In the olden time festival of the Tsukuma Shrine at Sakata-Gun in Oomi, 筑摩神社 近江 on the 1st day of the 4th month, every year, a woman was obliged to put on her head saucepans equal to the number of lovers she had favored in the course of the preceding year ('Shintoo-Myoomoku-Ruijushoo', Vol. V, p.8). It can easily be seen that the significance of this festival is the prevention of women's unchastity. for Fukuno no yotaka see below. 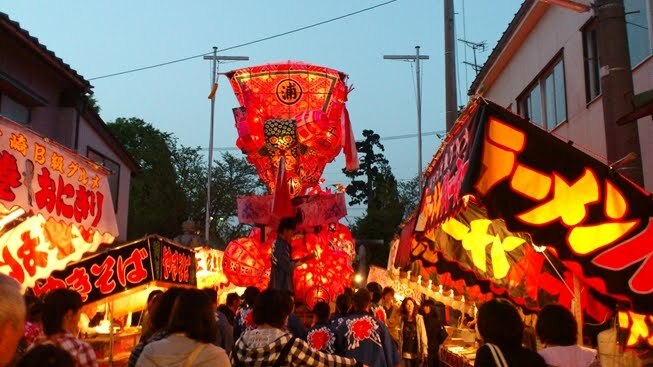 The Yotaka Matsuri festival of Fukuno is performed at the annual spring festival of Fukuno Shinmeisha Shrine 神明社, located in Fukuno, Nanto City, in the form of large and small andon (paper lanterns) going round the streets of Fukuno. On the evenings of May 1 and 2, huge papier-mache andon produced by the seven towns - Ura-machi, Okura-machi, Kami-machi, Shin-machi, Tatsumi-cho, Nanatsuya, and Yoko-cho - visit Fukuno Shinmeisha to pay homage in turn, and then go out to the streets of Fukuno, accompanied by the music of flutes, drums and songs. Late at night on May 2, the festival ends following a ceremony of conclusion called Shanshan which is performed by each town authority. 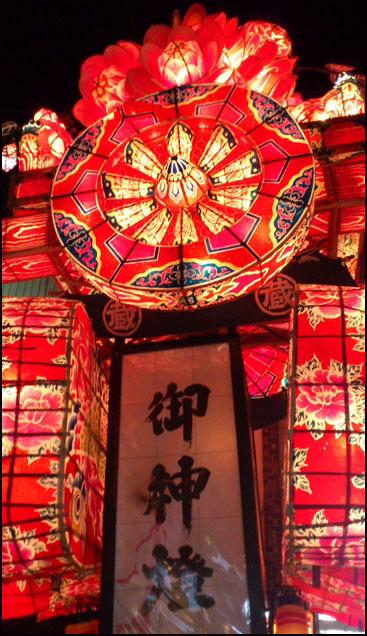 This festival is a major event in Toyama Prefecture, where huge andon are taken to the streets of the town. 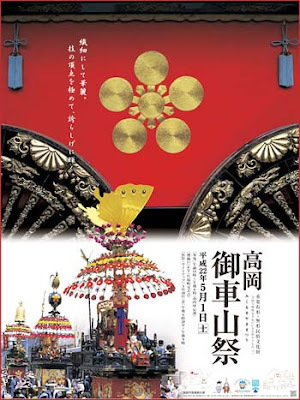 It is also a valuable resource for the study of andon production, the size of the andon having gradually become gigantic since the latter part of the Edo period, as well as for the change in the style of the procession. 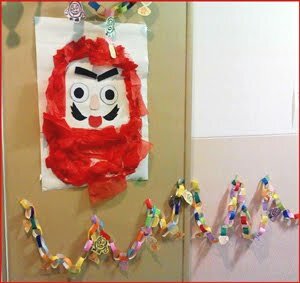 It is also significant for its relationship with a ta-matsuri festival called Yotaka, which is widely seen in the Tonami district. ***** . 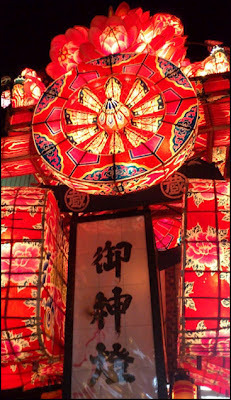 Andon 行灯　lanterns .